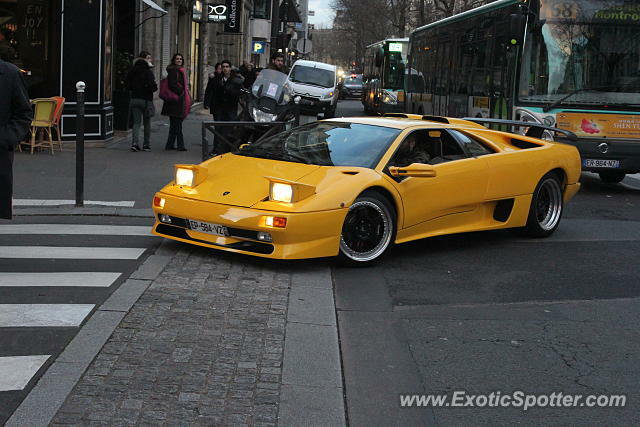 I spotted this Lamborghini Diablo SV "Boulevard Raspail" close to the "Bon Marché" department store in Paris. Crazy spot! I'm wondering why this car doesn't have the "SV" decals? Incredible spot! Over two decades later, these still look amazing.